We are proud of "Sunny" who is shown here at 7 months of age winning the major from the puppy class, as well as going best of breed over specials. 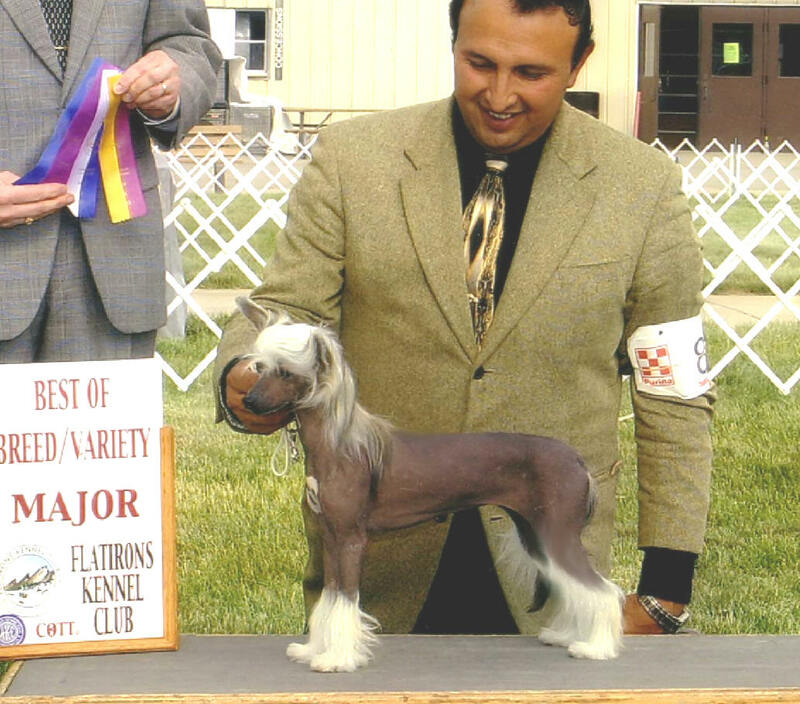 She completed her championship, all from the puppy class, with two four point and a five point major. Along the way she also went best of breed over specials three times.